WHOEVER follows up the speeches of Hassan Nasrallah, leader of ‘Hezbollah’ — the militia group in Lebanon, will laugh hysterically over contradictions which cannot be placed on a rainbow due to exaggerations that even a crazy person would not believe. 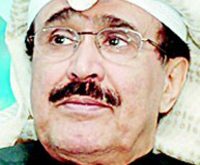 For the past four years, this man has been accusing members of the Gulf Cooperation Council (GCC) — on top of the list is the Kingdom of Saudi Arabia as the creator of ‘DAESH’ and that Saudi’s ‘wahabbism’ ideology is the main instigator of terrorism. Recently, the same guy came back asking, “what would have happened to the Kingdom of Saudi Arabia if ‘DAESH’ emerged victorious?” He forgot all the nonsensical statements he made in this regard. Nasrallah continues to perplex us. Did Saudi Arabia create ‘DAESH’ or it is the first target of this group’s terrorist operations? Has the stinginess of Iran confused this man for him to throw sand into the eyes by conveying messages which will not reach the ears of his masters in Iran as their ears are covered with the voices of its hungry people, and calls to end support for terrorism and redirect the dwindling funds to Iran’s treasury to help stop the people’s starvation? 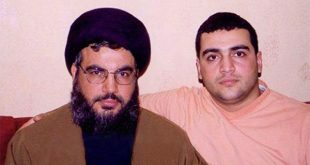 In his recent speech, Nasrallah said: “Hezbollah is the strongest political party in Lebanon and it is the least influential in the political life of Lebanon.” How could such contradictions exist at the same time? If this militia group is the least influential in the political life of Lebanon, then who closed the Parliament for about two years in order to avoid the passage of an international agreement on Lebanon’s international criminal court? Undoubtedly, if someone spends most of his time in the basement, he will be shortsighted and confused about many things. This is what happened to Nasrallah — the man of contradicting speeches who wants the Lebanese government in place as soon as possible, while setting prohibitive conditions. This is exactly what he did on May 5, 2008 when his gang pounced on security personnel in the capital of Lebanon, Beirut, to commit massacre. Then, he distanced himself from that crime. A few months later, he went on to describe the day when that incident occurred as a day of glory. Since 1982 when Hezbollah started its terrorism acts on the Lebanese, it has caused many crises which led to accumulation of public debts that reached billions of dollars; whereas his gangs laundered money from the drugs trade in Latin countries and Africa. The verdicts issued in those countries are clear testimonies about the organized crimes committed by this party. The Lebanese continue to pay a huge price in terms of crippling their constitutional institutions as it happened in 2009 when he prevented the presidential elections before acknowledging his part in the government. He suspended the election for two years in a bid to impose his candidate Michel Aoun. Currently, he is preventing formation of the government as he is waiting for inspiration from Iran while the country is drowning in serious economic and livelihood crises. It is common that the scream matches the level of pain. Nasrallah’s squawk from time to time, especially in the recent month, is the natural outcome of the pain he feels as his party has been faltering, which is part of the overall uncertainty of Iran in the region. This is due to the bottleneck that Iran’s regime has been experiencing after the cancellation of the nuclear deal which received its death bullet from the mister in the US White House. Therefore, if Nasrallah clearly stated his financial crisis and asked for donation from the Lebanese whom he impoverished to fund the operations of his party in killing Syrian civilians, the question is: “Is it not you who said that all the funds, food and weapons you received are from Iran, where is this support today, given that Iran says you spearheaded the resistance? Finally, it seems the kind from Iran that he uses is bogus; thus, he has been babbling contradictions. We advise him to use the farms supervised by his group in the Lebanese Bekaa region.